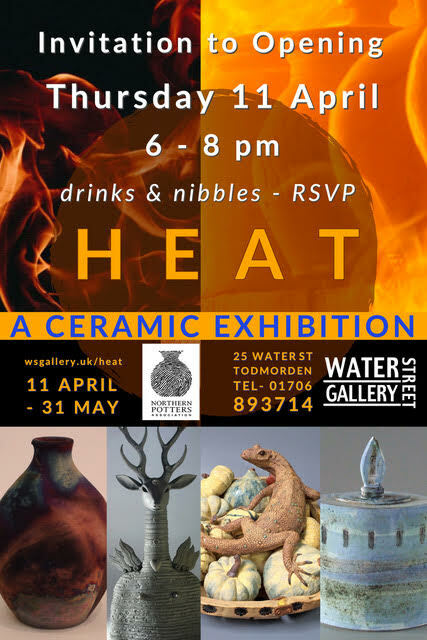 Water Street Gallery in Todmorden is curating a CERAMIC exhibition based around the theme of ‘HEAT’. Members of the Northern Potters Association are forming the bedrock of this exhibition. A private view will be held on Thursday 11th April (6-8pm) to officially launch the exhibition. Please RSVP the gallery if you would like to attend.